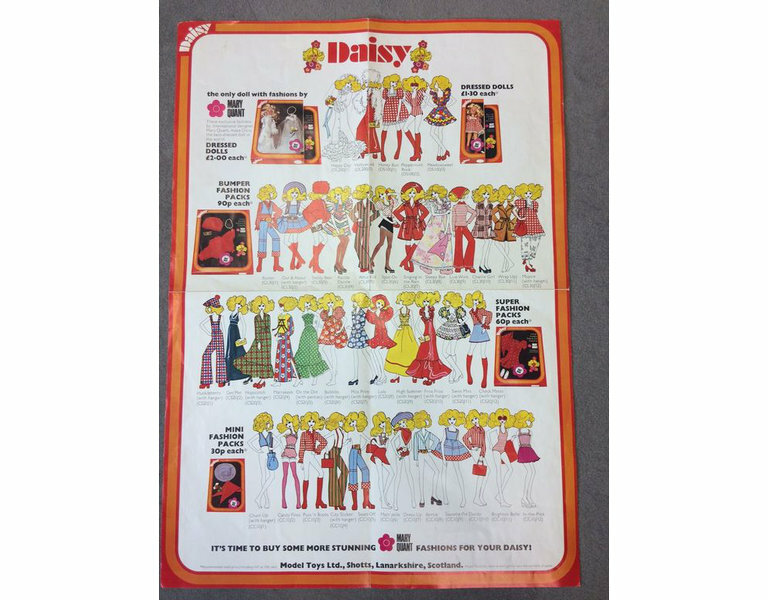 Trade poster for 'Daisy' dolls, paper printed in colours. 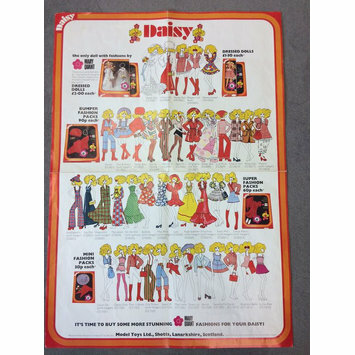 The poster shows several lines of illustrated women, all with blonde hair and red lips, modelling various outfits available for 'Daisy'. 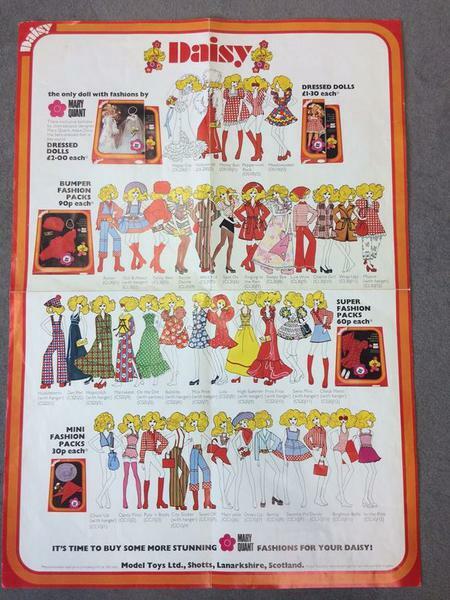 The name of each outfit is printed below the figure. At one end of each line is a printed photograph of a product: a doll or a packaged outfit. This poster was given to the Museum in 2017 by Sir Torquil Norman. Sir Torquil was Chief Executive of Berwick-Timpo, the parent company of Model Toys, from 1973-80.